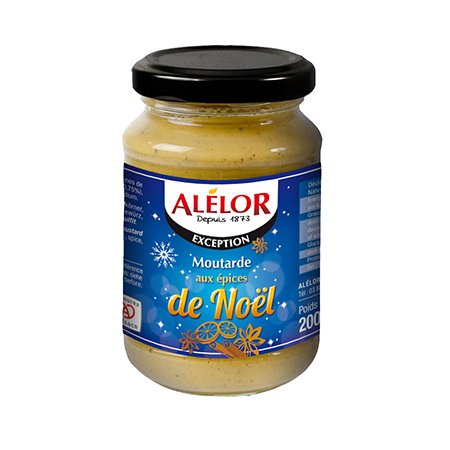 It’s almost a duty for Alsace to have its own Christmas mustard and Alélor has come up with a softly-spiced, beautifully aromatic mustard which takes us off into the magic of Christmas. But you don’t have to wait till Christmas to taste it! 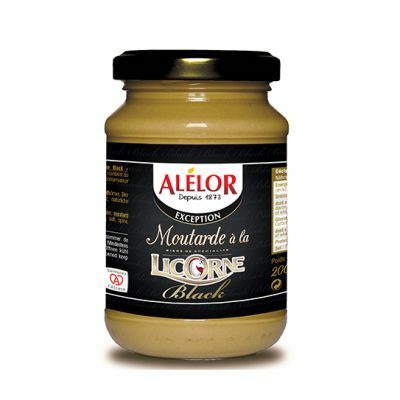 Eau, graines de moutarde, vinaigre, miel, sel, épices à pain d’épices (0,75%), épice, arômes naturels, conservateur : bisulfite de sodium.